Shoulder (T-Spine) training for runners: Completely overlooked, and absolutely necessary. The benefits of lower-body training have always been obvious for runners. For the past few years, we’ve seen that the ill-defined and ill-understood “core” has come into its own as a legitimate focus of attention for runners who want to better their athletic situation. The shoulders are just as important as the core—and yet almost completely neglected. Most of us who are a little bit studied in the science of running know that arm swing is largely passive—a way for the body to contralaterally balance the movement of the legs. So why should we even worry about the shoulders? We should care because of how they are connected to the body and how they affect the areas around them. 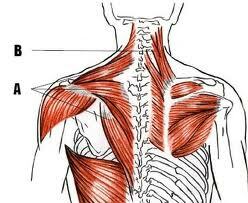 The shoulder region is also known as the “T-Spine”—the T-shaped structure created by the backbone, the shoulder blades, and the collarbone (and of course, the hugely complex array of muscles, tendons, and ligaments that contribute to its function). If any one of the muscles implicated in T-spine function is impaired, functionality of the entire structure goes down the drain. Developing T-Spine functionality is important not only because the shoulders and arms are part of the body (and are needed for running well) but because in that immediate vicinity is the ribcage—and the ribcage houses the lungs and the heart, which are the main facilitators of the aerobic system (a.k.a. the distance runner’s main engine). Bad T-spine function isn’t isolated to runners—it’s one of the biggest motor problems in the general population. In this sedentary world, our brains never had to understand how to use this complex (yet astonishingly elegant) interface between the arms and the torso. Think about what happens when someone has bad general stability (they are “klutzy”), and their stability is challenged by walking on a balance beam or a raised log: they tense up and are unable to complete the task—or alternately, grossly underperform relative to someone with better motor control. The same thing happens to the T-spine, particularly in a dynamic, repetitive-impact sport such as running. (Imagine, if you will, the same log or balance beam shaking repeatedly). When faced with this kind of challenge, any impairment in function causes the T-Spine to seize up and refuse to move.The arms stop being able to swing freely. The “natural” arc that the arms would follow passively (if there was total freedom of movement) gets altered. Because the arm swing directly counterbalances the movement of the legs, either the legs move differently to match the different arm-swing, or the movement of the body stops being in sync with the forces traveling through it. As is the case with Mr. Shutterstock here. These are the building blocks for a running injury. (But it gets worse). Since the shoulder blades sit on top of the ribcage (and the rest of the T-spine mechanism is literally all around it), the ability of the ribcage to expand and contract is immediately impaired. The diaphragm must work harder to make the lungs expand. Less oxygen permeates the body (with more effort), resulting is less aerobic development. In the long-term, improvement stagnates. A mechanical problem can have far-reaching consequences: it can (indirectly) impair the body’s ability to utilize energy. The problem becomes exacerbated for broader-shouldered runners (like me) who lose upper-body mass due to the natural emphasis running places on the lower body system. These runners have comparatively more bone mass up top, which means that they need comparatively more muscle mass in order to keep that heavier structure mobile and stable. When the T-Spine is neglected, muscle strength may drop to the point that it takes a lot more effort to keep this structure stable. Adding distance (or increasing power) may cause the weakened structure to seize up. A seeming conflict of interest arises here: stockier runners have an increased need to lose weight to improve running economy. Keeping the muscle mass necessary to stabilize the T-Spine may mean that they won’t be as fast, at least in the short term. The thing is, it’ll open up oceans of future potential. 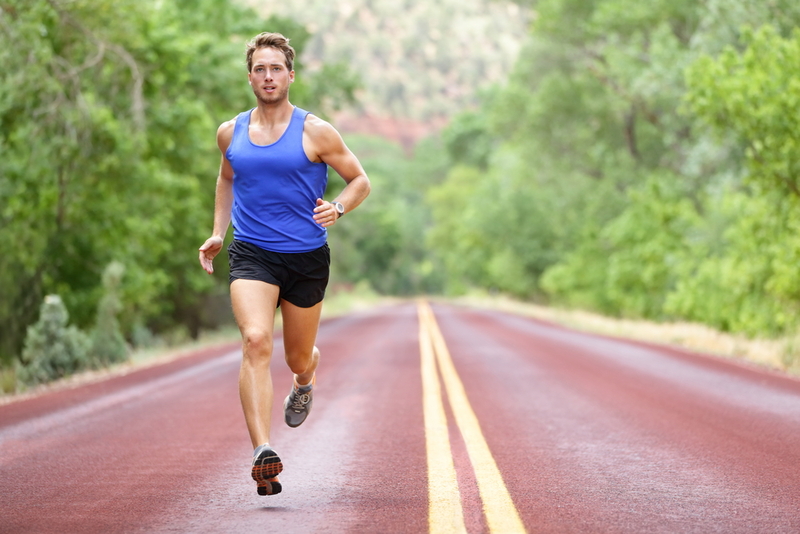 Usually, the main bottleneck for the development of a distance runner isn’t their weight. As Gray Cook said in a recent interview on T-Nation, “Technique is always the bottleneck of limitation.” This is true even when applied to something as basic as T-spine mobility. If the body—or a part of it—can’t move right, that athlete is never going to fulfill their potential. T-Spine function is not the only problem plaguing runners. But how many runners may be plateauing because of this—and don’t know it? UPDATE: While we can’t pinpoint the origin of Mr. Shutterstock’s problem from a picture—the problem may originate in the pelvis, for example—it is plainly evident that the shoulders, arms, and the entire T-Spine isn’t moving correctly. Previous PostNew to fitness? Start with some human-specific training.Next PostUnderstanding the gears of the human drivetrain: energy systems and some of their training and racing applications. This is a remarkable posting today. I know many runners (and general public) will benefit from reading this well informed article on T-spine mobility. It is only a month or two ago after fixing everything else that I became aware of my T-Spines lack of mobility. When my T-spine is moving correctly gait is effortless and the spiral is not impeded. If only I had learned this years ago my running would have benefited immensely. I had to search high and low to find the answer. I wish this posting had been available then! I certainly look forward to that book that you have in the works. Thanks for your gracious comment, Sue! I’m all about giving runners (and athletes) a new way of thinking about their training, and everyone a new way of thinking about their body. That book, though, it’s going to take a lot of research, and I think that there’s going to have to be a PhD somewhere between now and then. My application of systems thinking to athletics, while concerted, has been largely informal. In the next few years I hope to study this more seriously and formally, and hopefully come out with a more unified theory of how to think about athletic training (and of course, of how to apply it in practice). I’ll link to this at the bottom of the post. It’s a great kind of “step 2” to the article I wrote. Great stuff and thanks again!